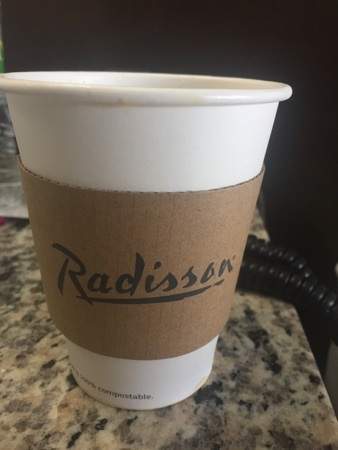 We had a very leisurely lie in this morning, we got up and had coffee in the room. 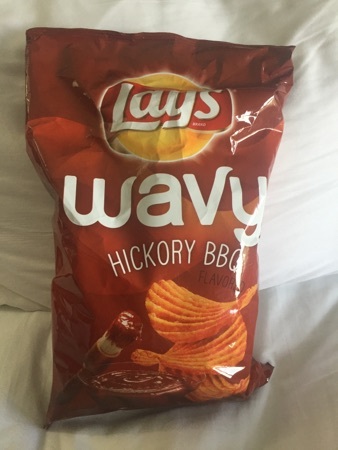 I don't do cereal for breakfast, I'm more of a toast person so I had hickory BBQ crisps to put me on until we get something more substantial in the parks. 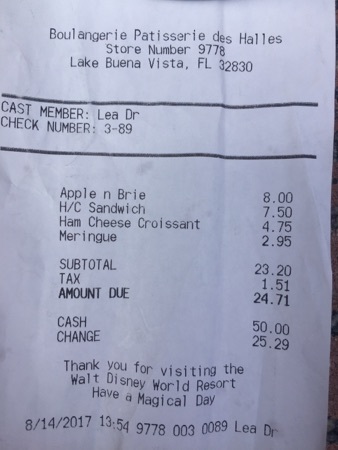 Today's plan is Epcot, we always end up at the boulangerie patisserie in France, any other recommendations? We ended up at our usual boulangerie patisserie lunch location. 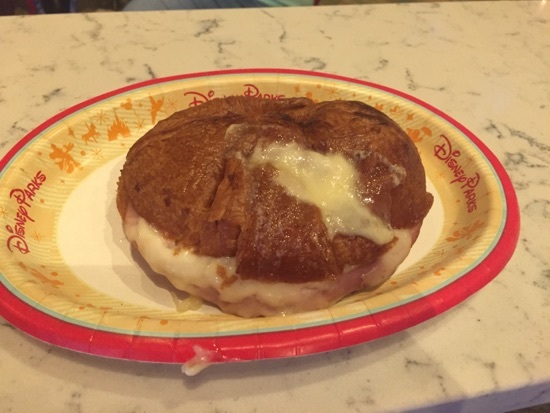 DD had a ham and cheese croissant. They warmed this and it was delicious as usual. 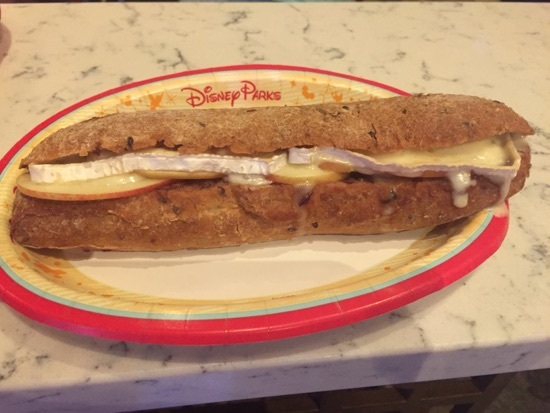 DH had the apple and Brie sandwich, he also had this warmed. This was really good too. I had the ham and cheese sandwich. 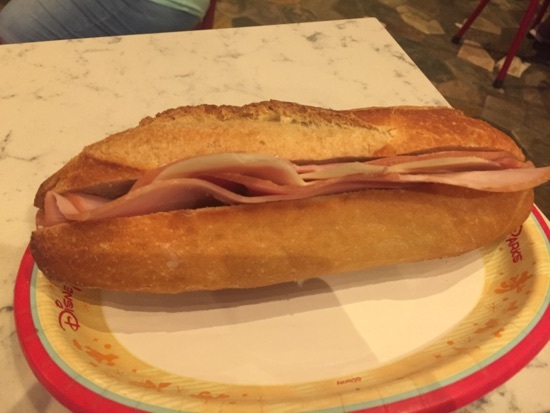 This is ham and cheese in a baguette with butter. This is lovely, the bread is really crispy and chewy like proper French bread. I had this cold. 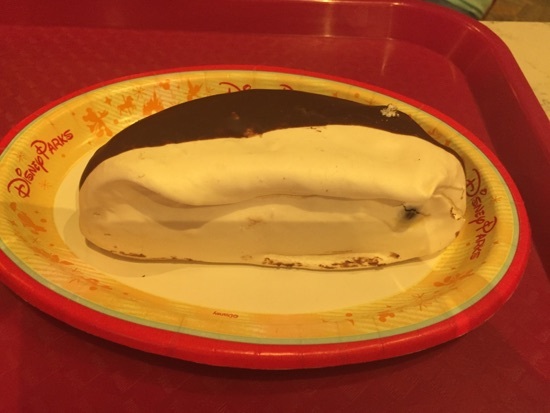 We also got a meringue for dessert which we all shared. This was just meringue dipped in chocolate. It wasn't great to be honest, there's so many better choices here. The meringue was really hard and not chewy at all. 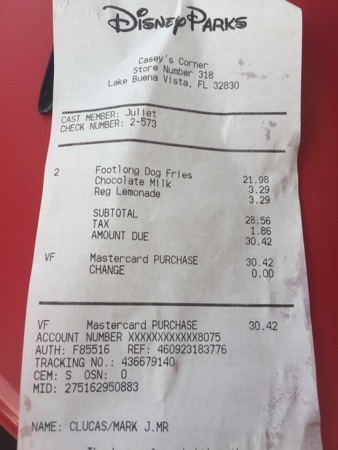 Total came to $24.71, pretty reasonable priced lunch and we were all full afterwards. 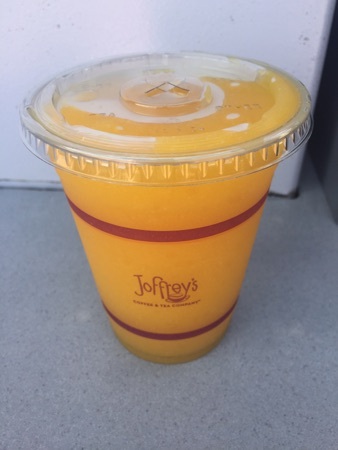 We left Epcot for magic kingdom and on the way out DH stopped at the joffreys stand and got a passion fruit frozen drink. He'd wanted one since he tried mine yesterday. We shared this, it was as good as ever! We stopped by casey's corner for dinner this evening. We got 2 foot long all beef hot dogs to share between us, there come with fries and cost $10.99 each. There is a small toppings bar inside where you can add cooked onions, raw onion, jalapeños or peppers. We grabbed a few packets of tomato sauce and mustard for them too. We got a chocolate milk for DD to drink and DH and I shared a minute maid lemonade. This came to a total of $30.42. 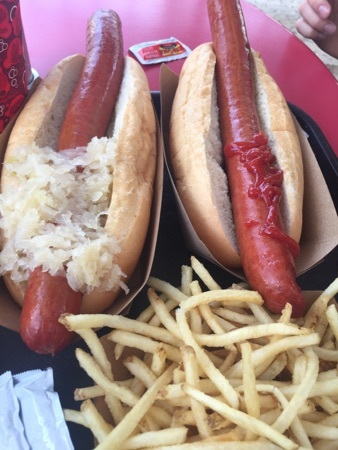 We couldn't fault the size of the hot dogs for the price, they were massive! More than enough for the 3 of us. New Photo Added by missdopey - 15 Aug 17 4:16 AM. I love a croissant with melted cheese in it. 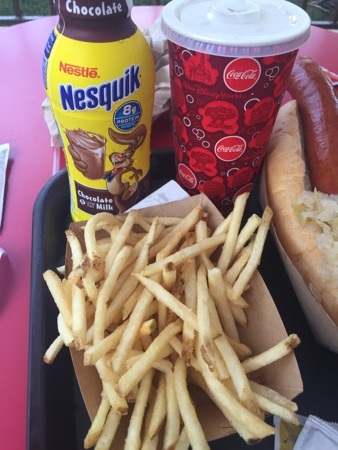 Food looks good again today, Casey's hotdogs - yum! Another good day. 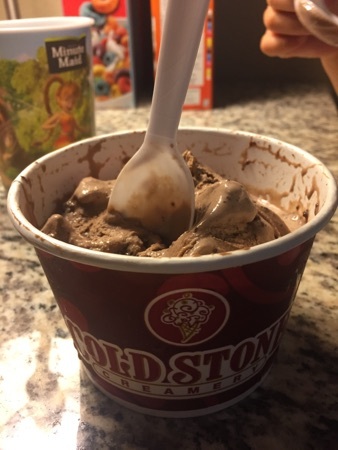 We like cold stone creamery.